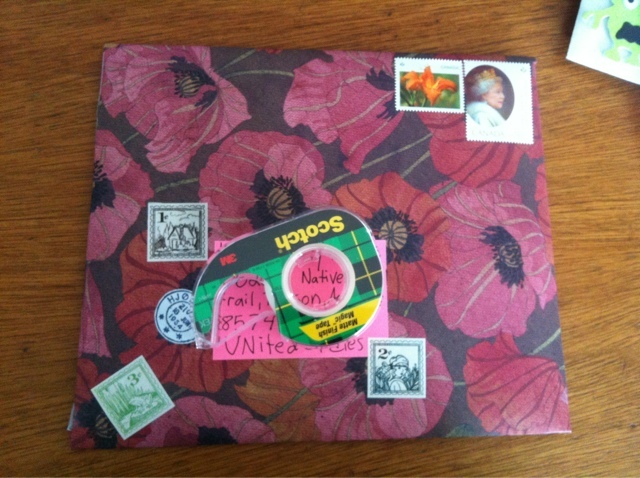 Lots and lots of outgoing ! I haven't had a chance to post the goodies ! 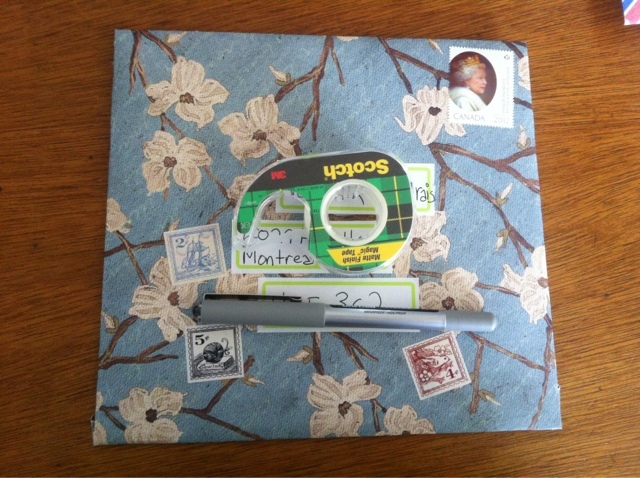 Here is a description for each piece of mail and numbered as it goes like I usually do. 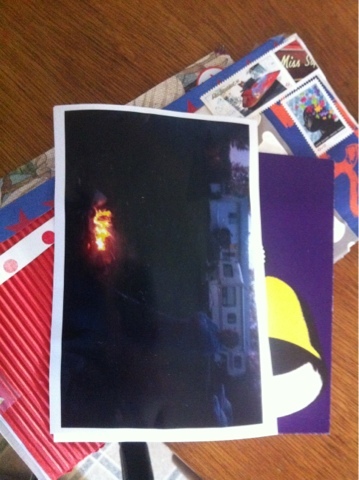 1) pile of mail with a homemade postcard of my dad near a fire. 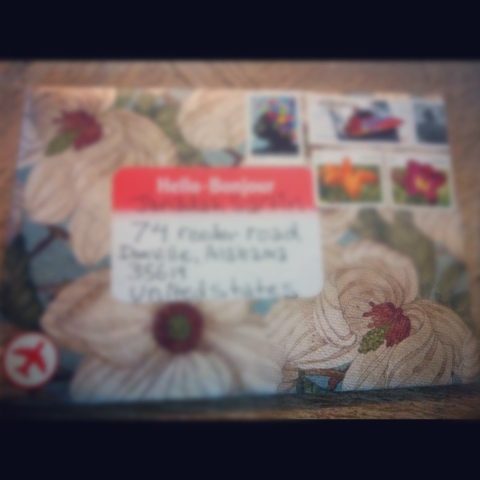 3) postcard I made . 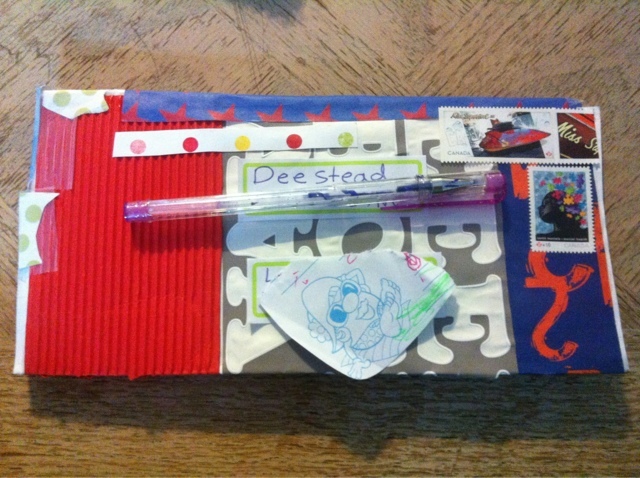 I used the back of a stamp pack and cardstock. 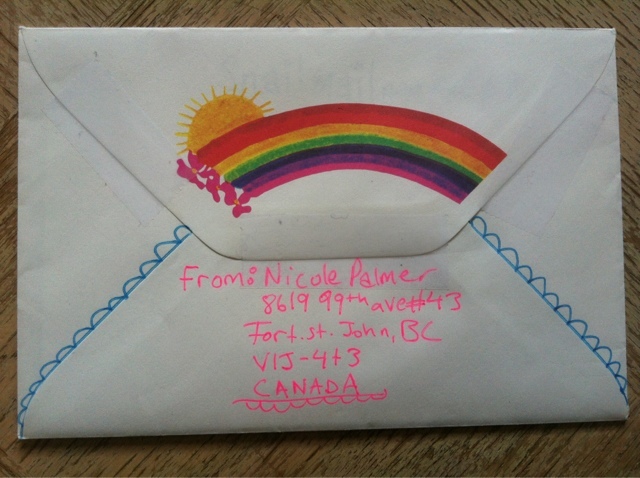 I love the back of the Canadian stamp packs . 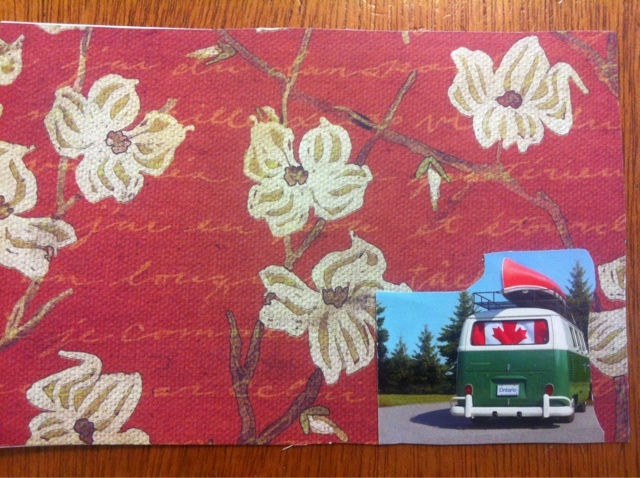 6) 3 postcards I made with photographs that I'm sending around the world . They are of me and my love and because of it being our 10 ear anniversary on may 14th I thought it would be kewl to send our love out to the universe . Corny. Yes I know, but it's how I roll. 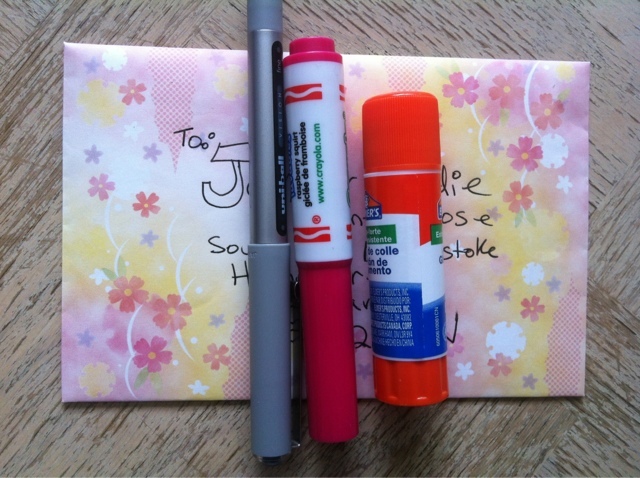 7)letter to my pen pal. 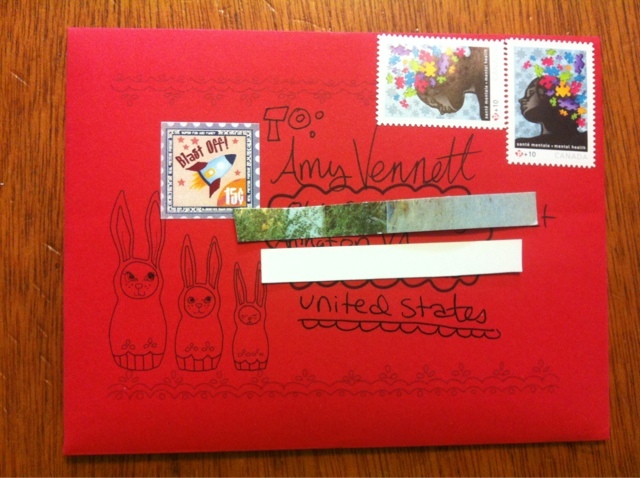 The envelopes are from syrup threads. 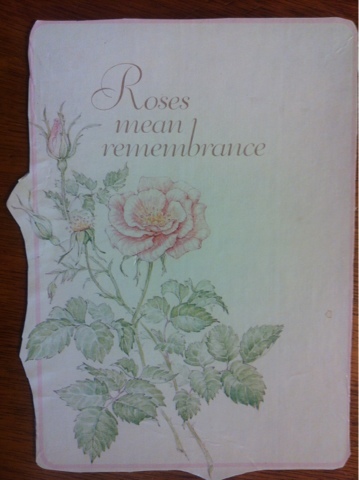 9)postcard I made from an old stationary box I got from my great grandma. 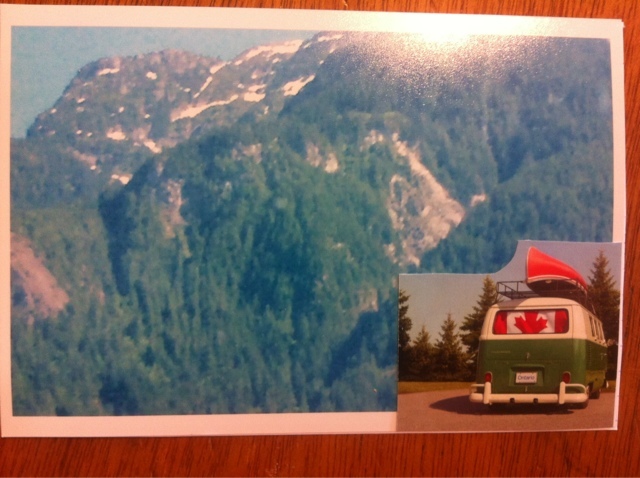 10) postcard I made from an old photograph of BC mountains. 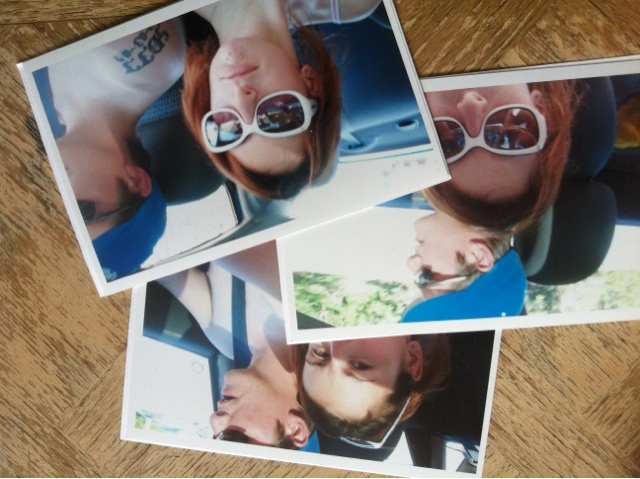 Blurry photograph taken me being a passenger in my vehicle and than I glued on the back of a Canadian stamp pack. 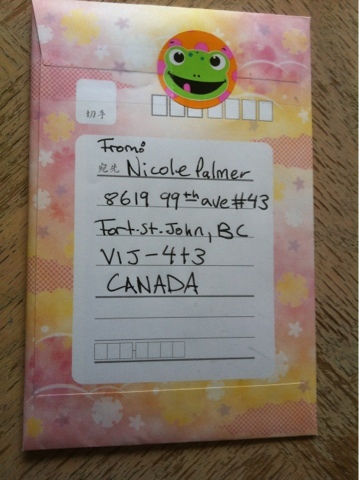 12) this is the front for picture # 2 picture .